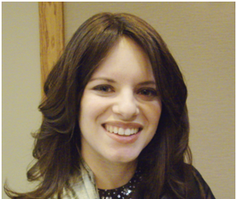 For my first post in this series, I would like to extend a warm welcome to Bayla Berkowitz, a Certified Nurse Midwife. Many in the community may know Bayla from her years as a midwife at Mercy Medical Center and UM St. Joseph Medical Center. She recently expanded birthplace options for those who choose her care, with the opening of a private practice through which she will attend home births within approximately a one-hour drive of her office in Pikesville, MD, and hospital births at UM St. Joseph Medical Center in Towson, MD. I’ve been a midwife for eight years. I have a BS in Nursing and a MS in Nursing, specializing in Midwifery. I have attended hospital births and am currently attending home and hospital births. My philosophy is that our bodies were created to give birth and know what to do. Left alone, our bodies will surpass our expectations and everything will go smoothly with little risk of complication. I have three children. I think my births help me care for women every day. I am always thinking about how I experienced different events and encounters and incorporate that into my care of others. It helps me empathize tremendously. It’s important to prepare yourself for birth. Not just buying baby gear. Delve into yourself and explore your fears about birth and bringing a new person into your life. A good childbirth class is important for first time parents. Breathing and relaxation are crucial skills for all birthing women. Find a mentor – friend, mother, sister, cousin, doula – to help with the process. Thanks so much, Bayla! For more information about Bayla’s practice, A Better Birth Midwifery, check out her website, www.abetterbirthmidwifery.com. Bayla also holds periodic “Meet and Greet” events at her office to learn more, so be sure to follow her facebook page, www.facebook.com/abetterbirthmidwifery to be updated about current events!